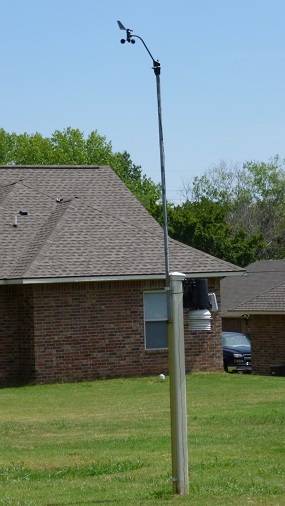 This personal weather station web site, established on February 21st of 2009, represents the author's hobby interests in the weather and web site building as well as to perform a public service for the Stillwater area to get out promptly updated weather info. The station is powered by a Davis VP2 weather station. Weather data from the station is collected every 60 seconds. This site and its data is collected using Weather Display Software. The solar powered station is comprised of an anemometer, a rain gauge and a thermo-hydro sensor. Its accuracy is up to the demanding standards of the National Weather Service.